The climate in Bangalore is strongly affected by its elevated position, being some 950 metres / 3,117 feet above sea level. As a result of this setting, Bangalore is lucky enough to experience favourable weather throughout the year, although many people prefer to visit during its cooler, drier winter months. 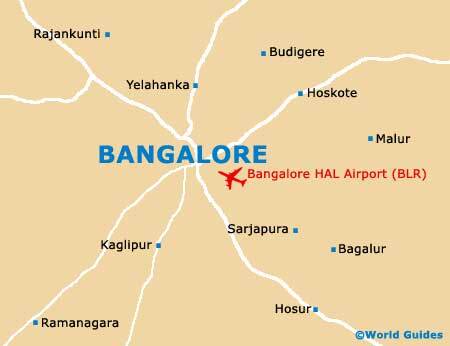 Bangalore's winter climate is usually quite warm, with plenty of sunny weather and blue skies. Daytime winter temperatures in Bangalore stay well above 20°C / 68°F, and usually average 26°C / 79°F or higher. However, the temperatures at night-time are known to plummet, particularly during December and January, dropping to around 15°C / 59°F, with noticeably cooler evenings. Early morning fog is also fairly commonplace at this time of the year. 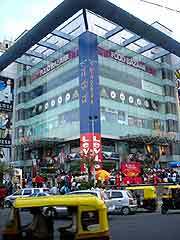 In general the climate in Bangalore is considered pleasant and at times tropical, although the city is amongst India's coolest. The summer weather is moderated by the arrival of the monsoon season, with heavy rainstorms expected between July and September. However, even during the rainiest weather, most showers rarely last the whole day and usually fall in the late afternoon, being followed by fine spells in the evening. The plants throughout Bangalore quickly become lush and green during the monsoon weather, with the surrounding scenery soon being transformed. You can also expect low cloud cover and overcast skies on some days. The peak season in Bangalore falls between October and February, when most tourists visit this part of India. With hardly a drop of rain and plenty of sunshine to go around, it is easy to see why this time of the year is so popular.